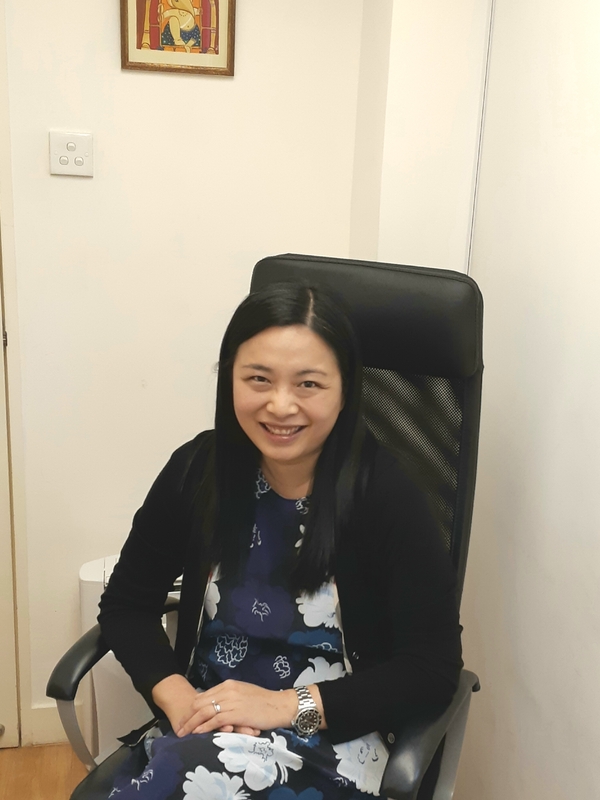 Christine Ching is a bilingual Speech and Language Therapist (English, Cantonese) and has practiced in the field of speech therapy for 18 years in Hong Kong. Beside a result-oriented private practice, She has vast experience in speech clinics at private, public hospitals, kindergartens and primary schools. Christine has also been an expert consultant for the Macau government in developing speech therapy services for the cognitively and physically challenged. Her global experience includes internship posts in the children’s and general hospitals in Perth and Sydney, Australia and training in the approach of ‘Play Project’ to assist the children with Autism Spectrum Disorder. Her experience and extensive clinical knowledge includes working with a range of communication difficulties, speech and articulation disorders, speech fluency, voice disorders, feeding issues, receptive and expressive language problems and social communication skills problems. She works with the complete age range of infants to adults and senior citizens. Christine especially enjoys working with children with different needs and diagnoses. Her enthusiastic compassionate and practical approach towards improving communication has endeared her with all the families she works with. Her approach of laying the foundation of functional need-based communication and then moving to fine tuning language and speech has earned her the respect of developmental paediatricians, teachers, parents and other therapists who work with special needs children. TalkTools ORAL PLACEMENT THERAPY Level 1 From which Christine will assess the appropriate ‘TalkTools’ to help kids’ promotors musculature exercises, do as to strengthen the oral muscles and coordination. Beckman Oral Motor Assessment and Intervention Certificate It is a manually stretching technique for the oral muscles. Especially useful for anyone with oral muscles weakness. ‘Play Project’ consultant in intervening kids with Autism Spectrum Disorder. The Play Project is an evidence-based intervention program for young children with Autism developed by Dr Rick Solomon, a developmental behavioural paediatrician from the University of Michigan. Christine has traveled to Michigan to learn the skills. Certified provider for TEEACH training strategies. PECS: Certified provider for Picture Exchange System Communication teaching method. Certified provider of the Sequential Oral Sensory (SOS) Approach to feeding. This is especially useful for babies with cleft palette or after long-term tube feeding. Certified provider of Adventures in Voice (AIV). For Adults and Children. Helping them to relearn a proper way of voicing and reducing strain on the vocal chords. For people who have hoarseness of voice, vocal cord issues and difficulty when speaking due to overuse or straining when speaking. Certified Deep Pharyngeal Neuromuscular Stimulation Provider for Dysphagia (DPNS) useful for swallowing difficulty in Parkinson’s disease, multiple sclerosis, stroke recovery and ageing. Swallowing and Feeding Guidelines for Mentally Challenged. (2010). Wai Chi Christian Service published. Ching, Christine K-Y. (2005). Validating a Quantified Clinical Screening Tool in Detecting Aspiration. Master of Medical Sciences dissertation.